MASSIVE VOODOO: Tutorial Voting: Camouflage Orcs with Mohawks! Massive Voodoo's year of the painter brings you tutorial voting thursday and with it a special edition today. 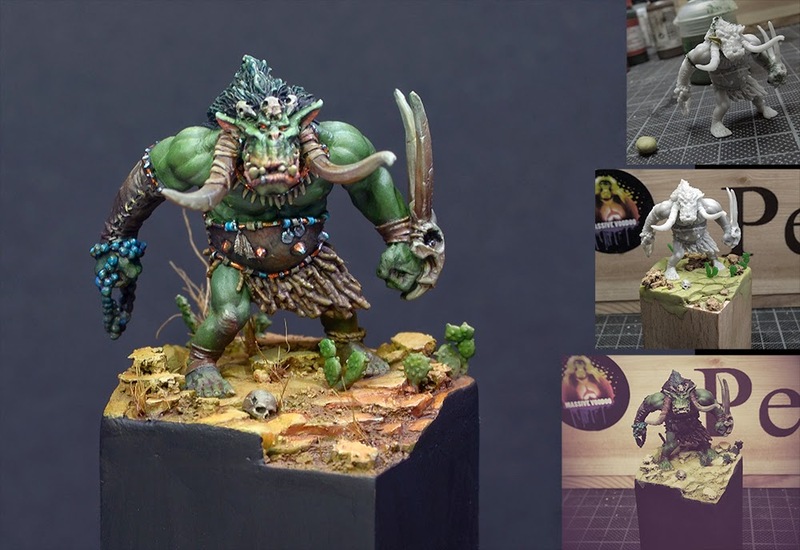 As you might remember we announced some surprises to you, all our readers and fellow miniature painters on Monday as we breached 6 Million views on the blog. In this article you will find a step by step guide on how Roman tackled Drakerys' Orc Shaman. Basing, sculpting an ear and painting included. Check Drakerys' Kickstarter - only 6 days left. 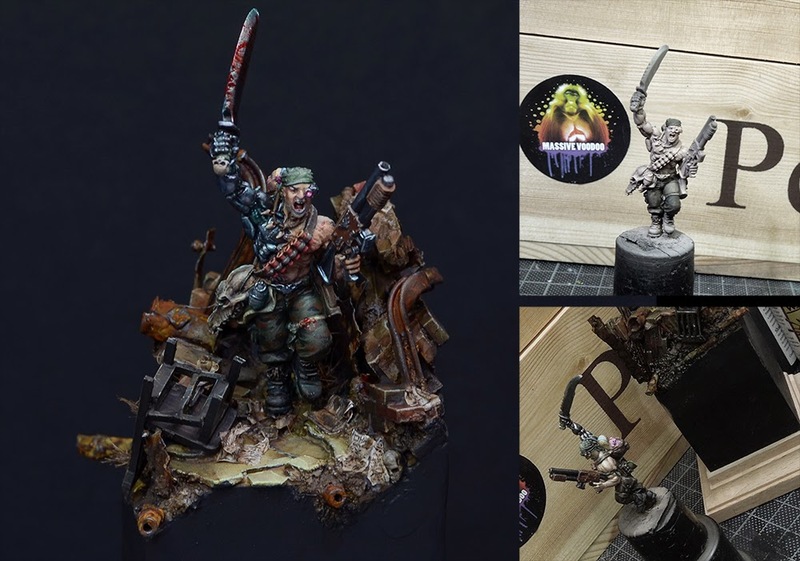 This article brings you a step by step guide on through Roman's project called "Her name is Hope", mainly looking inside the paint work on Col.Straken from Games Workshop. Let's kick that avalanche of votes now! Voting lasts until Monday morning. 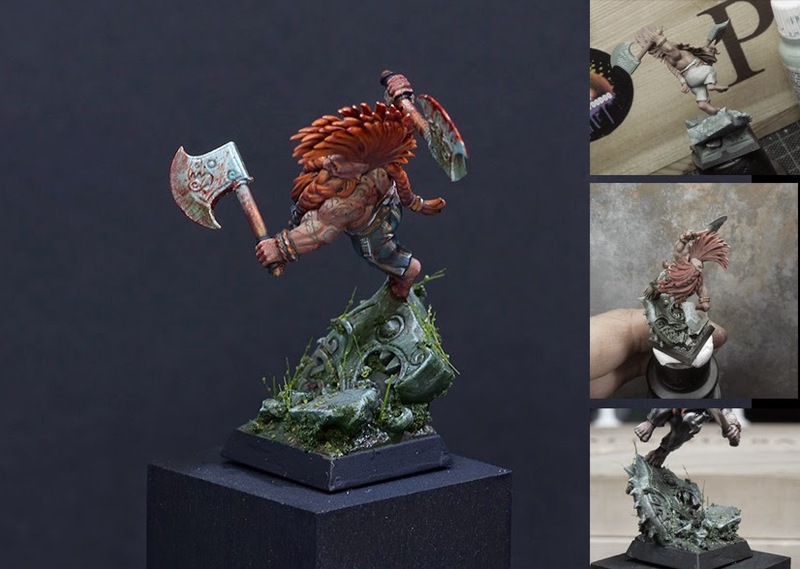 There are 59 Kommentare for Tutorial Voting: Camouflage Orcs with Mohawks! Looks great and have a lot of personality. They are all amazing! I go orc! Three great minis. Green skins always win!! Slayer! Give that small guy a chance.